The t-shirts and cardigan that were sold at G12 have been made available for reservation online through Bandai’s website. From August 1st ~ November 5th, 2017, the Joysound Suidobashi store will be hosting a Granrodeo-themed karaoke room. There will be special drinks, that’ll come with a random Granrodeo coaster. And for every 900 yen spent, customers will get a stamp. Fill a stamp sheet and enter for a chance to win a B2-sized signed tapestry. 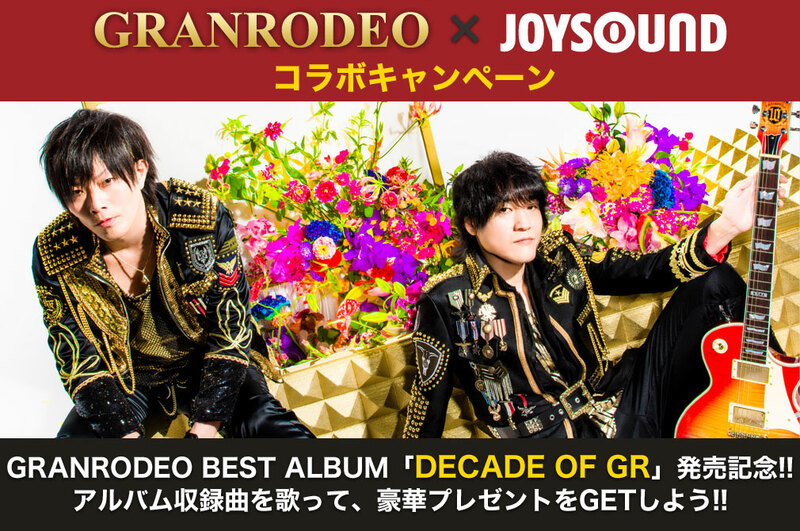 Sing the songs included on「DECADE OF GR」on a Joysound system and win a chance to go backstage at G10, plus autographed goods! See the details here, and on Joysound’s campaign site.